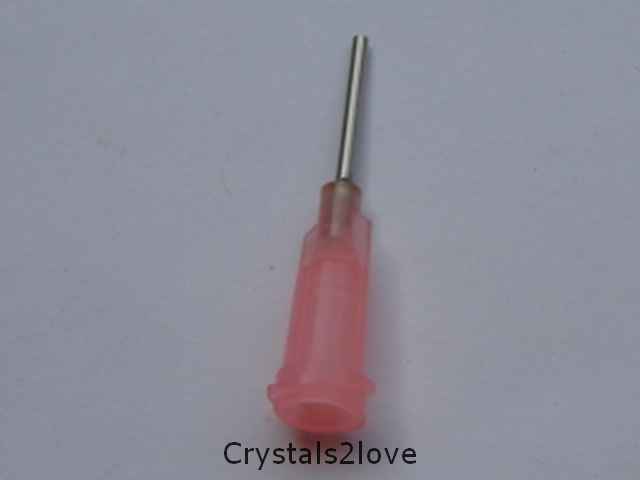 Inner diameter 0.96-1.02mm; needle length 13mm (1/2 inch). The Green tip is 18 gauge diameter and works on thiner glue like Gem Tac. I use the Gem-tac for something else. I use it to glue my he ..